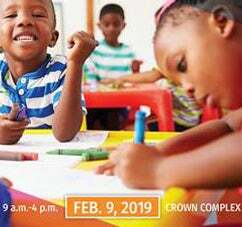 Fayetteville, NC (January 28, 2019) – Partnership for Children of Cumberland County, Inc. (PFC) is hosting its first NC Pre-K Application Day for the 2019/2020 school year. This event will be on Saturday, February 9th from 9am – 4pm at the Crown Expo. Parents/Guardians will be guided through a step-by-step application process which includes application assistance, determination of eligibility and information on placement as well as other community programs for families with young children. NC Pre-K is a high-quality, state-funded, pre-kindergarten program designed to provide 4-year-old children with a valuable educational experience which prepares them for success in kindergarten and beyond. NC Pre-K Sites include Private Child Care Centers, Head Start Programs and Cumberland County Schools. There is no charge to families who qualify. To see the guidelines or find out more information visit www.ccpfc.org/ncprekday.